In 2016, Sheridan College invested $47.5 million to construct a new, state-of-the-art learning facility dedicated to skilled trades at its Davis Campus in Brampton, Ontario, Canada. The facility’s district energy center, which provides the heating and cooling network for the entire campus, is truly a piece of art. Designed with a glass enclosure, students are able to view the impressive system up close and personal as it delivers comfortable temperatures throughout the school. But this show piece didn’t come together without some challenges. Insight Engineering & Construction, the project contractor, was tasked with designing and installing four separate heating systems in the three-story, 130,000-square foot building by November 2016. Facing a fast track schedule, and with space limitations due to the glass enclosed design, Insight needed to ensure a way to boost productivity and save time in the field so students could occupy the new wing in time for the upcoming semester and ahead of frigid winter temperatures. The answer was to find a true project partner. 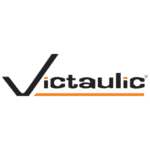 And they did, in Victaulic. To find out how Victaulic partnered with Insight and The Aquila Group to ensure the efficient completion of the this project in time for the new semester view the full story here.